Coleman Shoals. Wonderful house in great location! Beautiful floor plan features a huge Great Room with a double-sided fireplace. Formal Dining room and Kitchen with large Breakfast area and big Bay Window. Kitchen has new flooring, tile backsplash and gas cook top. Master on the Main with lovely tray ceilings, large garden tub and separate shower. Upstairs are three BR, one with private bath, and the other two with Jack-Jill bathroom. 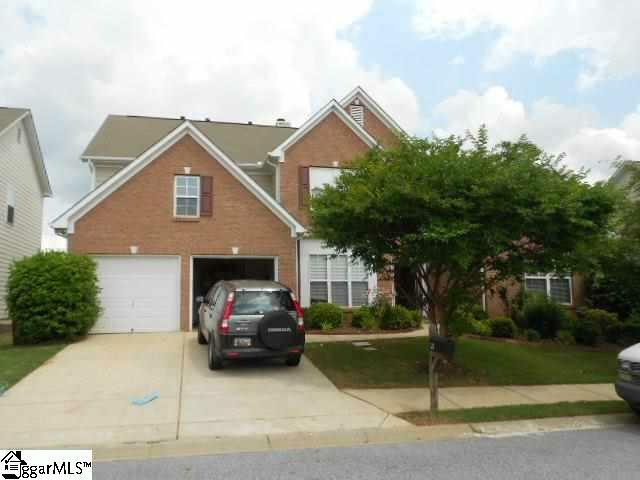 Nice big backyard, two car garage, inground sprinklers and washer/dryer furnished. No Pets please.